After the cap and gown are put away and the parties are over, how is life looking for newly minted college graduates? Will they be able to land new jobs? Will they be able to save for retirement? Like a lot of things, that depends on whom you ask and what analysis they used. The good news is most of the news is good. Different reports paint different portraits of the hiring landscape for 2018 grads. In general, graduates in certain professions, such as accountants or registered nurses, are probably in a good position to get hired. But some industries, including hazard insurance and retail, are having a rough go. And while the job outlook has generally improved, there’s plenty of room for it to get better, and inequities persist. First, let’s have the good news. According to the U.S. Bureau of Labor Statistics, employment in occupations that require a bachelor’s degree is expected to grow 10 percent between 2016 and 2026. That’s faster than the average of 7 percent growth projected for all occupations. On top of that, the Economic Policy Institute recently released a report on the Class of 2018 that found improved job prospects for new graduates, compared with graduates of the past decade. But the report suggested challenges still exist, and things could be better. In other words, saying things are better than they’ve been in the last 10 years isn’t saying all that much because things have been anemic for a while. So while things look better than the beginning of the Great Recession in 2007, they’re still not as good as they were in 2000. And the benefits of the improving economy haven’t been felt equally, particularly among women and African American college graduates. The report says pay rates for young women barely increased since 2000, going from an hourly $18.22 to $18.33. At the same time, men’s wages rose from an average hourly rate of $20.48 to $21.48. The average hourly wage of black college graduates hit bottom in 2014 at $15.27 per hour and recently edged up to $16.53 in 2018, the report says. The news gets worse in a report by the National Association of Colleges and Employers (NACE). This report says employers plan to hire 1.3 percent fewer new graduates than they hired last year. 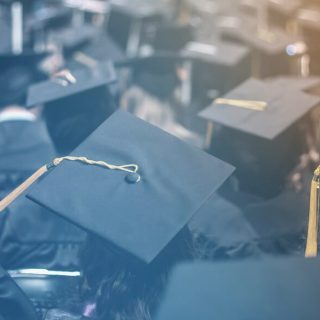 The report represents a reversal from November 2017 when NACE said employers planned to hire 4 percent more new graduates from the class of 2018 than from the previous year’s class. Asked about the apparent contradiction between its pessimistic outlook and the relatively positive overall projection from the Economic Policy Institute, NACE spokeswoman Andrea J. Koncz told Annuity.org that the two reports use different methodology. This report marks the first time NACE has projected a decrease in job offers to new grads since the Class of 2010, when employers said they planned to reduce hiring by 7 percent.